Next time you swear and your Mom tells you to "go wash your mouth out with soap", you'd better hope she hasn't been reading Asaka Seto's blog. It seems Miss Seto, a new mother, decided to whip up a batch of homemade soap from a recipe that includes her own milk. "Very nice, high five!" comments Borat. Asaka Seto referred to a traditional Japanese recipe from a soap-making book when crafting the bras, er, bars of soap. In these photos from her blog entry dated July 10th, 2010, it looks a lot like Creme Brule. Seto doesn't state just how much of her milk she used, only the ingredients themselves: olive oil, palm oil, coconut oil, heat-treated human milk and purified water. It should also be said that it appears Seto will be keeping the recipe close to her chest, as it were, though my guess is she would receive plenty of orders if she did a full exposé. 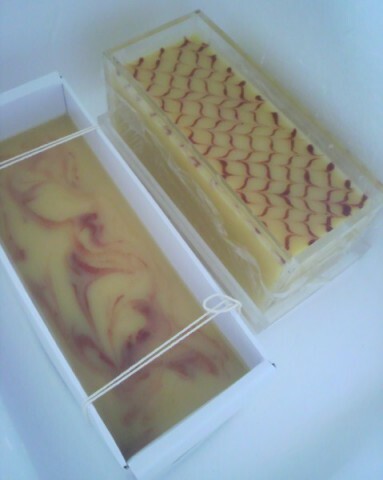 Once prepared according to the recipe, the soap must cure for one month before it is able to be used. Seto will be reporting on how the soap worked out in a future blog posting but for the moment, she advises that preparing the soap "was quite hard work" but that the experience of making soap from her own milk was very satisfying in itself.